RELIABLE GPS AND IMU: Rugged and reliable miniature GPS aided inertial navigation system and AHRS with high dynamic, 500 Hz update rate. < 2CM POSITION ACCURACY: IMU system with the combination of gyroscopes, accelerometers, magnetometers, pressure sensor and dual antenna RTK GNSS receiver provides highest possible positioning and velocity accuracy. 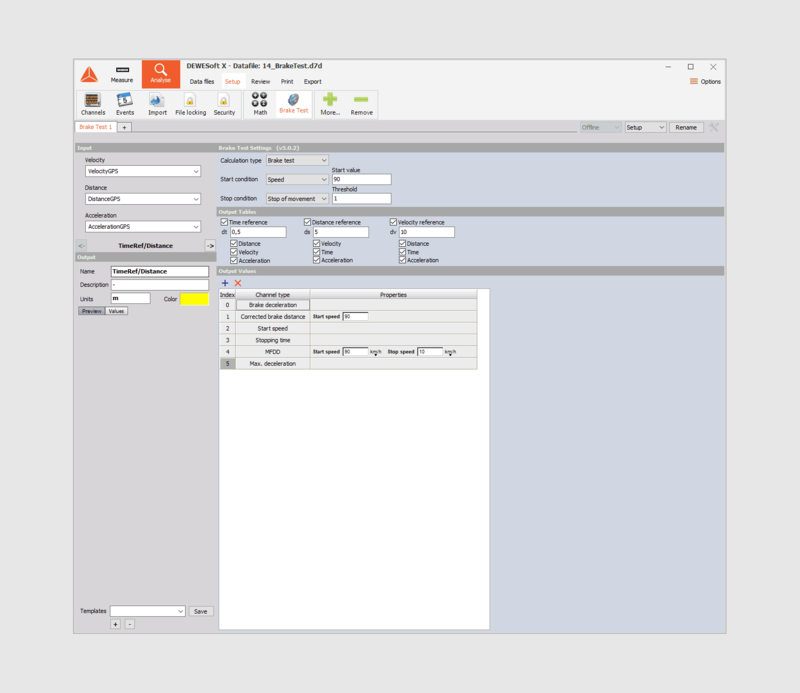 EASY TO USE: The system is fully integrated into Dewesoft X software and offer easy configuration, visualization, and analysis of acquired data. Functionalities like hardware autodetection, smart sensors, pre-built and customizable visual displays will save you a lot of time. POLYGON: Visual control that offers 3D visualization of moving and static objects and real-time car to car distance and time to collision calculations. UNLIMITED CHANNEL EXPANSION: The system can be extended at any time with unlimited analog, counter, digital, CAN input channels with any of our data acquisition systems. SEVERAL APPLICATIONS: Collision avoidance testing, blind spot detection, adaptive cruise control testing, autonomous vehicles testing, lane departure warning, and lane assist system testing. The latest GPS based position measurement technology is used to provide a highly accurate, easy-to-use ADAS test system. RTK (Real Time Kinematic) option for GPS sensors provides high positioning accuracy (< 2 cm). 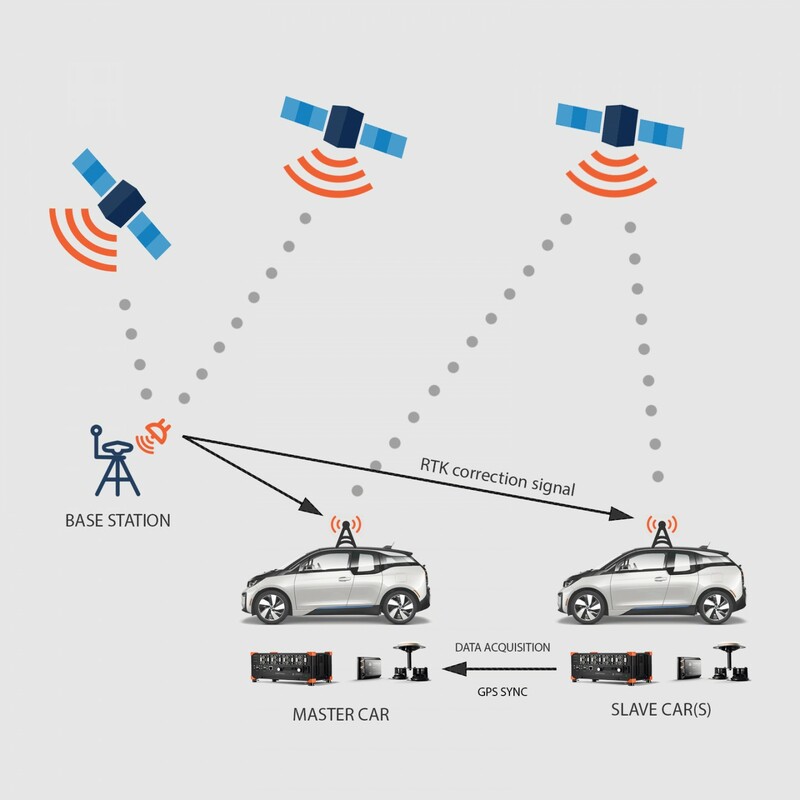 A static GPS base station sends the GPS correction data over to the moving vehicles. 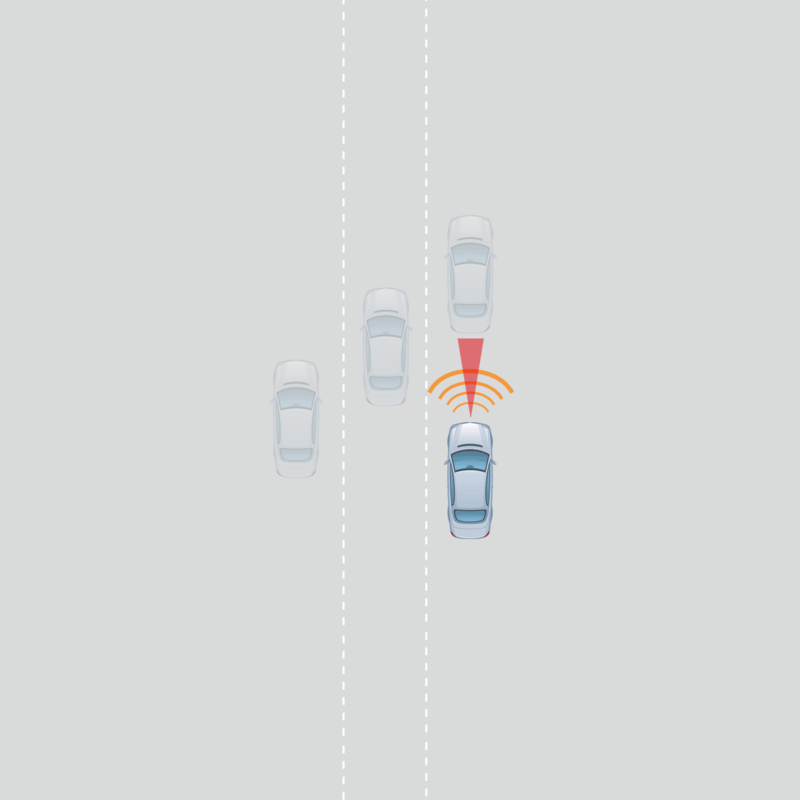 Two or more vehicles can be connected and observed. Synchronised data from all vehicles provides very accurate position and distance information relative to each other and/or to a fixed object. 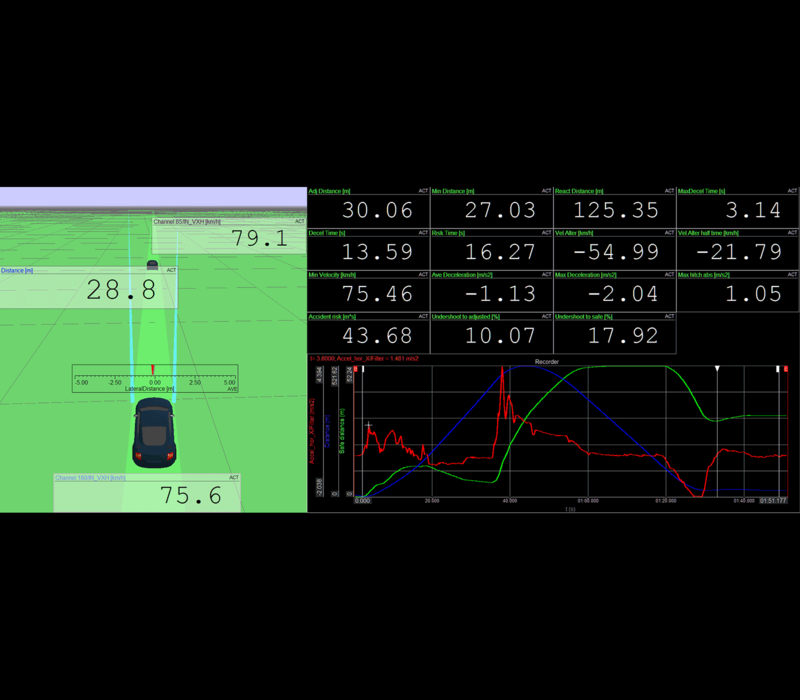 In addition, DS-IMU2 provides accurate measurement of all vehicle dynamics, including side-slip angle. All data is transferred to a master system which obtains real-time measurement results during the test run. A robust WLAN solution is used to keep the communication between the vehicles for up to a distance of 1 km. There is theoretically no limit to the number of vehicles within this measurement - only the WLAN bandwidth limitation. 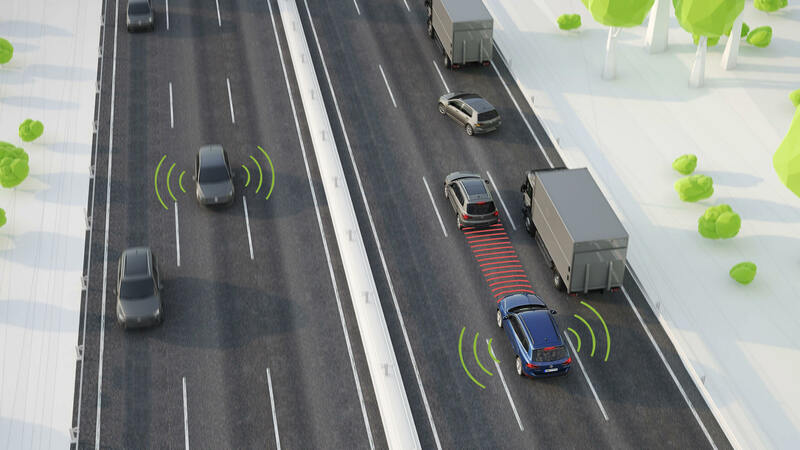 Autonomous emergency braking and forward collision warning features have become mandatory with 2018 for all new commercial vehicles. 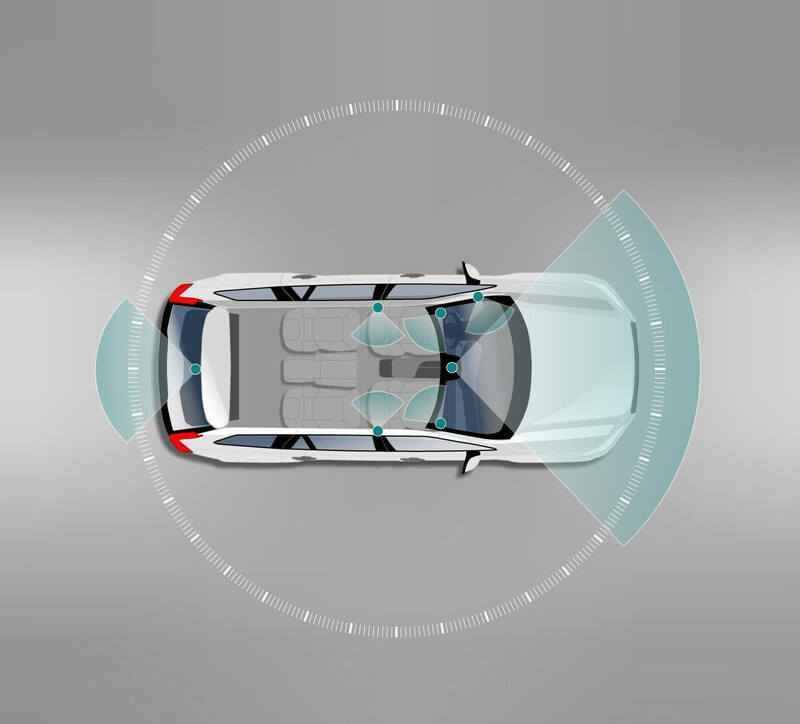 DEWESoft has developed a tool for testing such vehicle safety features. Real-time updates about relative distances, velocity, acceleration, detection of unavoidable obstructions around of a moving vehicle and ability to store all the other information of target vehicles which are needed for collision avoidance testing. Connectivity and communication between multiple vehicles work in a range of up to 1km. Many additional options like Video, CAN, XCP/CCP, FlexRay, additional collision warning signals acquisition are possible. The system can also be used on open roads, with relative RTK measurements (relative position accuracy between the cars is in range of ±2 cm and the possibility of tests according to ISO15623 - forward vehicle collision warning systems and EURO NCAP - AEB procedure. In the automotive context, “blind spots” are areas outside of a vehicle that the driver is unable to see. To test and validate such system it’s possible to use our ADAS solution, which provides real-time measurement of more than 10 different objects (vehicles, pedestrians, balloon cars, ...). To have maximal precision, RTK GPS technology is used for < 2 cm positional accuracy. To get additional information about the effectiveness of the blind spot detection, cameras, Lidar sensors and other analog sensors can be installed inside the vehicle and data acquired with pin-point synchronization. Another safety feature is a lane departure warning system, which is designed to warn a driver when the vehicle moves out of its lane. Some vehicles also have a lane maintaining system, which assists the driver by reducing the steering input burden in corners. Dewesoft offer a solution for testing both systems! CAN interfaces and microphone inputs. R&D testing according to ISO 17351 and NHTSA NCAP test procedure. ACC system is capable of automatically adjusting the speed of a vehicle to match the speed of the vehicle in front of it. ACC systems are also capable of acceleration. It is critical to test systems with different drive maneuvers. Dewesoft ACC test system is reliable, easy to use and time-saving. The main feature offered is the connectivity of multiple vehicles. More than 10 vehicles can be synchronized and calculated at the same time in real-time. Additionally, the system allows input of Lidar laser scanner (e.g. IBEO Lidar laser scanner) or even development interfaces such as Ethernet, FlexRay, CAN and XCP/CCP. This allows measuring ACC warning signals from the vehicle CAN. Add additional analog/digital inputs and synchronize external distance sensors and video from different cameras. Dewesoft has partnered with g.tec medical engineering to develop a system for measuring drivers reaction, attention and behavior inside the vehicle or simulator. 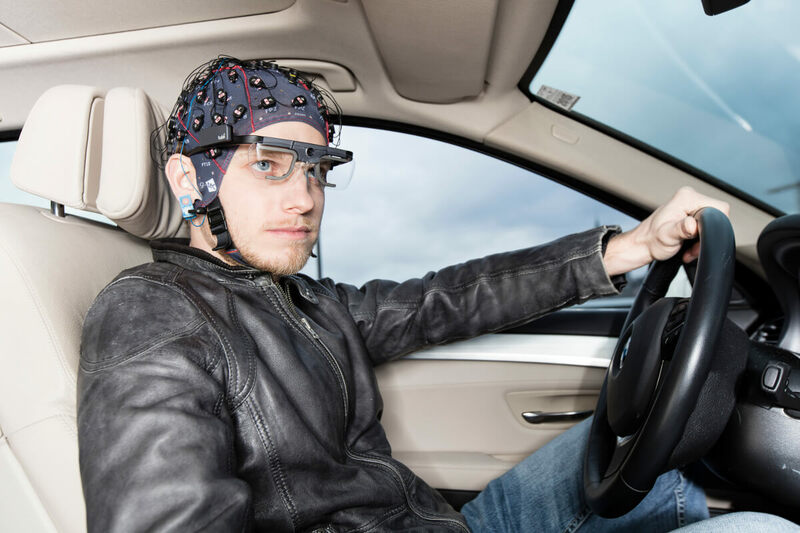 The system observes driver's brain activity together with biomedical data. 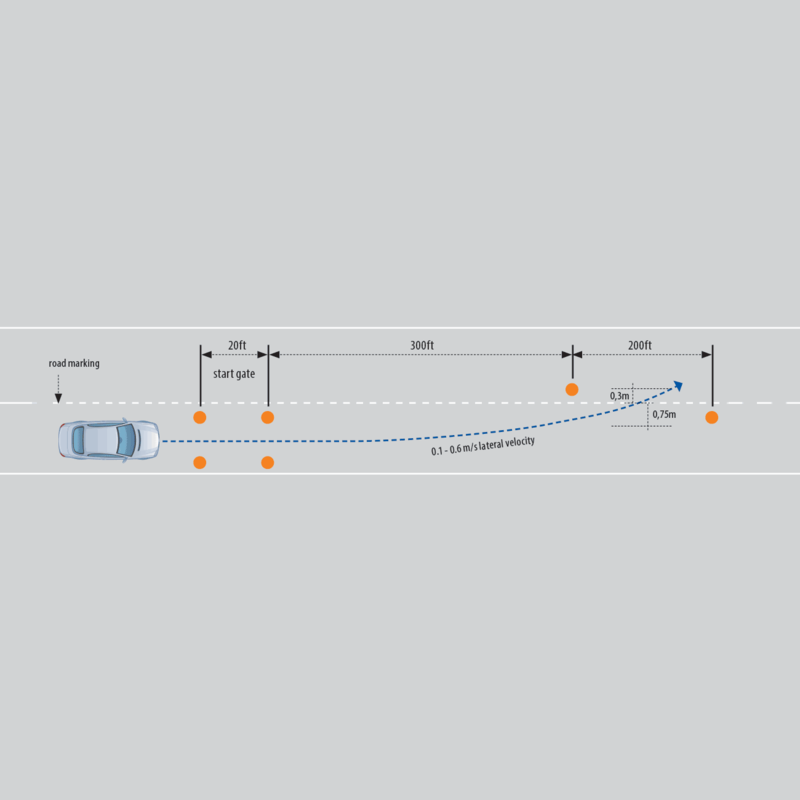 This data can tell if drivers feel comfortable in a certain car or not and is crucial for development, validation and effectiveness of advanced driver assistance systems. Such systems are important in all phases of the car development, testing, validation, and production to see how people react in cars. The turnkey platform provided by Dewesoft and partners uses a single software interface, which allows human factors researchers and automotive interface developers to analyze the correlation of human attention data and vehicle performance data – synchronized in real-time. The same system can be also used in other industries e.g. in aerospace and transportation. All above features can form the basis for the autonomous driving development. 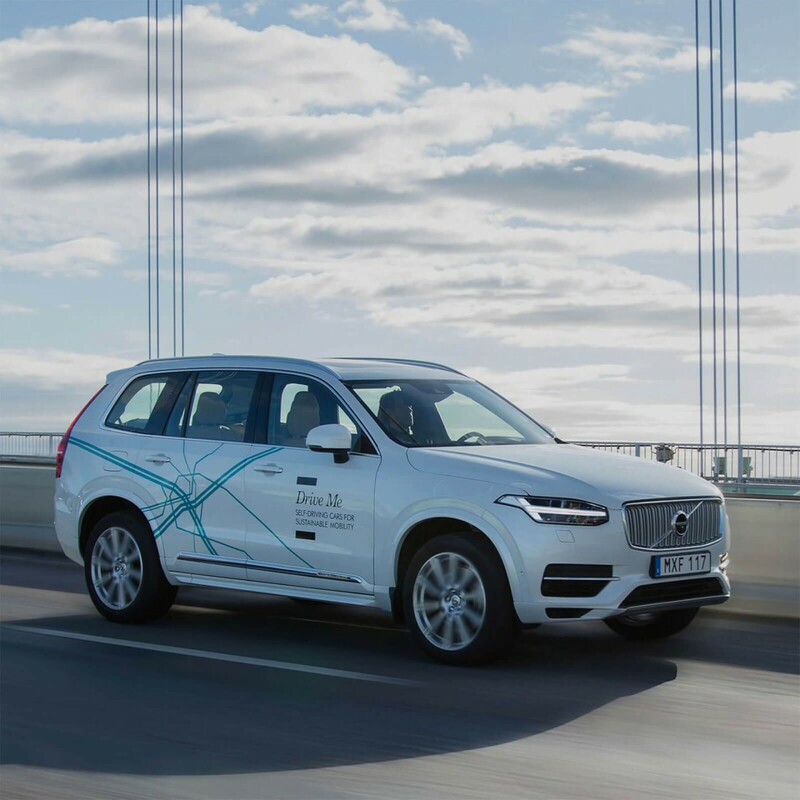 Dewesoft is taking a major role in the Drive Me project which is the world’s first large-scale autonomous driving pilot project by Volvo cars. Cars are being tested on public roads in every day. Provides all the analog data and CAN acquisition hardware via the SIRIUS product line. To store and process such huge amount of data, powerful SBOX data loggers are used. For receiving highly accurate position (down to 2 cm), velocity and orientation DS-IMU2 with RTK-GPS is used. Several DS-CAM-600 color cameras with Full HD resolution and online compression are used to record the behavior of other vehicles and pedestrians. All the above systems are synchronized together with GPS-PPS sync technology which provides synchronization accuracy down to microseconds. Volvo chooses Dewesoft because it's the only vendor that can offer combined acquisition of so many devices and biometrical data into a single integrated solution.